For torque-free, one-person operation. 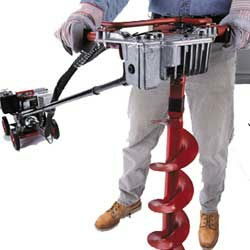 Makes digging post holes faster and easier than ever! * Please call us for any questions on our auger earth one man 5hp rentals in Boston, Somerville, Brookline, Cambridge, Malden, and Everett.